Since the Industrial Revolution of the late 18th century established cities as hubs of social activity and commerce, the world’s population has flocked to these urban centers. In less than 100 years, city dwellers came to dramatically outnumber country folk in developed countries, and more than half the Earth’s human population—some 3.7 billion people—now lives in urban areas. How has this trend affected wildlife? Obviously, cities are not devoid of animals; many species establish successful populations in the concrete environments, and some, such as rats and pigeons, seem to thrive. But other species aren’t so lucky. What makes the difference between city success and failure for these animals? That’s exactly the question conservation ecologist Martina Carrete of Pablo de Olavide University in Seville, Spain, wants to answer. “We began some years ago to study why some species are able to occupy human areas—why some species invade and others are not able to do it,” she says. Researchers had looked at the effects of habitat structure, such as the presence of vegetation, resources, and predators. “But one thing that is common to all cities in the world from Japan to the United States to Argentina: cities have people.” Surely, the way a species interacts with humans would affect its ability to settle in the dense urban environment, she figured. To investigate this idea, Carrete and a colleague surveyed bird species in and around the coastal city of Bahía Blanca, Argentina, measuring the animals’ fear of humans in terms of flight initiation distance (FID)—a measure of the distance separating a bird from an approaching experimenter when the animal flies away. 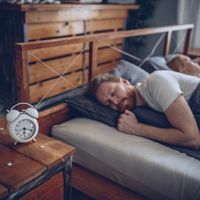 They found that a rural population’s average FID couldn’t predict whether the species had invaded the city, but that variability in FID between individuals could. In other words, species with greater individual differences in their fear of humans were more likely to enter the city, with urban birds having consistently lower FIDs—meaning they were less scared of humans—than rural individuals (PLOS ONE, 6:e18859, 2011). “Species with more variable behavior were able to invade,” Carrete says. Carrete’s team found that FID changed little over the birds’ lifetimes. “Bold individuals are always bold, and shy individuals are always shy,” she says. “This means that not all species can be [urbanized] if they don’t have enough variability in the behavior of the individuals for selection to act on those preadapted to us.” In total, the researchers found that roughly half of the avian species in the Bahía Blanca area, including the American kestrel and the chimango caracara, had sufficient variability in FID to invade the city. But how do city birds fare compared to their rural counterparts? Are they more stressed by the man-made environment? To answer these questions, Carrete and her colleagues needed to look inside the birds—at levels of the stress hormone corticosterone (CORT). 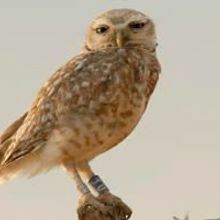 Between 2006 and 2009, the researchers captured 183 breeding adult burrowing owls (Athene cunicularia) in and around Bahía Blanca and plucked a single tail feather for CORT analysis. 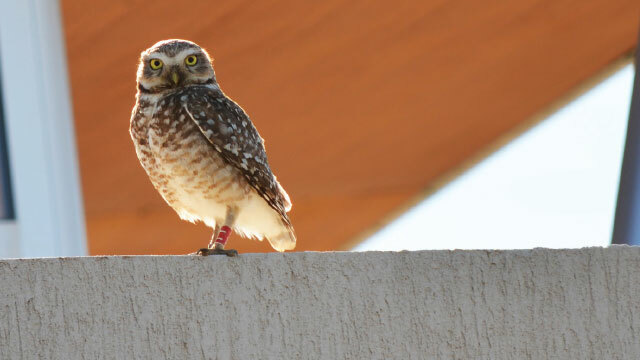 These owls can successfully inhabit urban settings, with six times as many territories in the city as in the rural areas nearby. Carrete’s group found that CORT concentrations were essentially the same between urban and rural birds (Sci Rep, 5:13723, 2015). 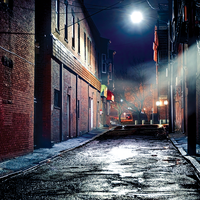 “[City life] doesn’t mean stress for them,” says Carrete. The researchers followed individual owls for several more years in order to see which birds survived. For city birds, they found that birds with intermediate concentrations of CORT had the greatest survival, with both high and low CORT corresponding to lower fitness. 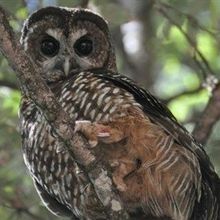 One possible explanation for this pattern, says Bonier, is that high CORT reflects stressful conditions that may have hindered owl survival, while low CORT may point to less-sensitive stress responses that leave the birds in harm’s way.